“Dock” lives in Flat Rock, NC, a few miles from Camp Pinnacle, with his wife, Jane, and their four children: Audrey, Ella, Ava Rees, and Charlie. 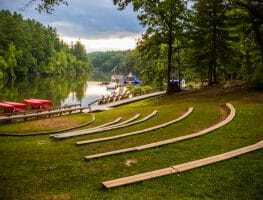 Dock founded Camp Pinnacle’s sister company, Adventure Treks, in 1993, which quickly became one of the nation’s leading and most respected summer adventure programs for teenagers. Dock holds a master’s degree in management from Cornell University and serves as an elected Flat Rock Village council member. 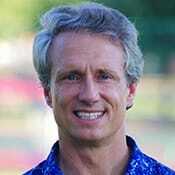 He is an avid trail runner, whitewater paddler, mountain biker, and former competitive freestyle skier. He’s also a Wilderness First Responder and skilled outdoorsman, and he has been featured on “Good Morning America.” In 2015, Dock and Jane won the Camp Industry Leadership Award. Jane is the main point of parent contact during the summer. She grew up in Buffalo, NY, where she was an accomplished rower. 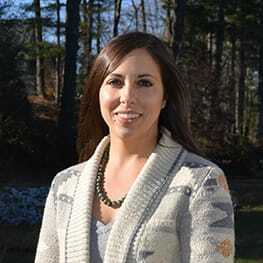 She has a bachelor’s degree in political science from Fordham University and a master’s degree in education from Appalachian State University, and she is a former fifth-grade teacher. When not driving her four children all over North Carolina for soccer games, she can often be found running, biking, or swimming. Steve is the executive director of Camp Champions in Texas with his wife, Susie, and their four children: Wiley, Liam, Terrill, and Virginia. Though Steve resides in Texas, he plays a valuable and supportive behind-the-scenes role at Camp Pinnacle. After graduating from Davidson College, Steve worked on Wall Street before attending Harvard Business School, where he was a Baker Scholar. 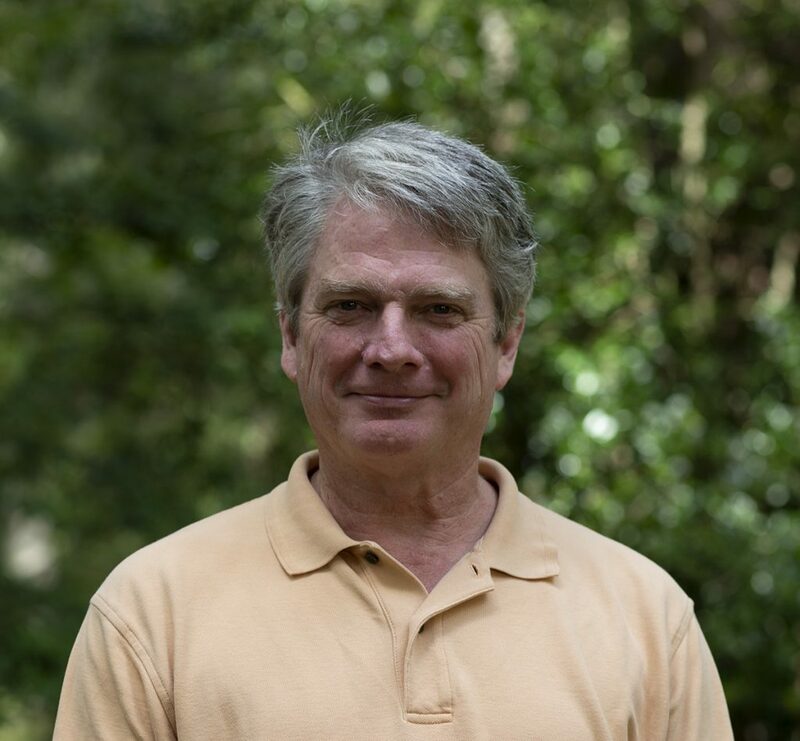 Steve has been featured in the Wall Street Journal and American Way publications, serves on the board of the American Camping Association, and is a featured blogger for Psychology Today. Fayssoux comes from a long line of Camp Pinnacle alumni. She spent her childhood summers at Pinnacle, and she joined our team in 2014 after spending five summers at Camp Laurel South in Casco, ME. Fayssoux grew up in Spartanburg, SC, and holds a bachelor’s degree in fine arts from Clemson University. She has lived in Chile, Spain, and the Virgin Islands and enjoys traveling and exploring different cultures. Fayssoux’s favorite camp activities include archery, arts and crafts, and baking with our chef, Richard. Amanda joined the Camp Pinnacle team in 2014. Before, she lived in Boulder, CO, where she was an editor for Climbing and SNEWS magazines, and the marketing and social media manager for a digital agency. 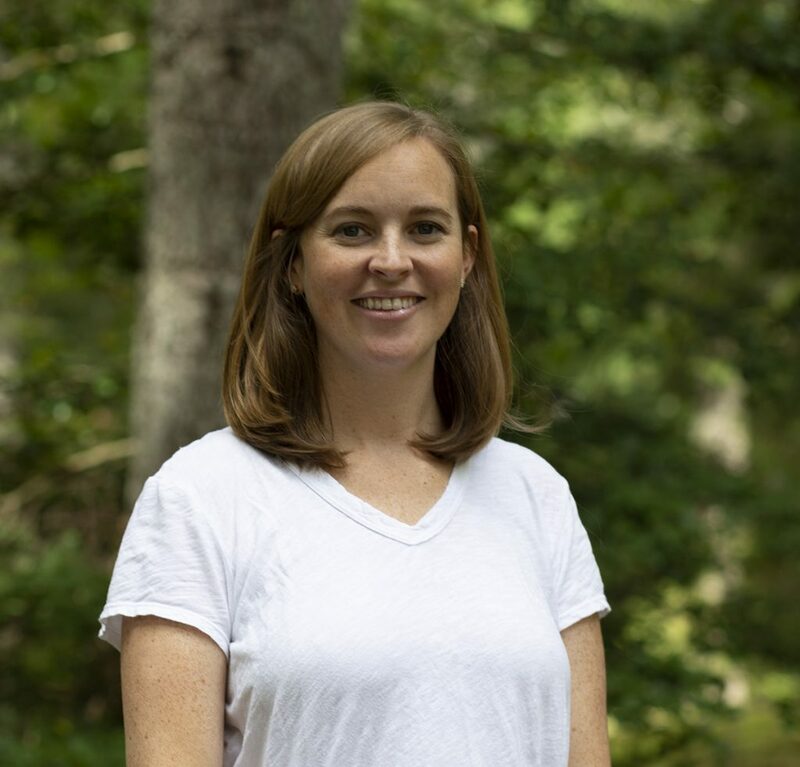 She earned a bachelor’s degree in communication from Appalachian State University, and credits App State for introducing her to the outdoors as a teenager. She grew up swimming and water skiing, and today is an avid rock climber, trail runner, mountain biker, and yoga teacher. 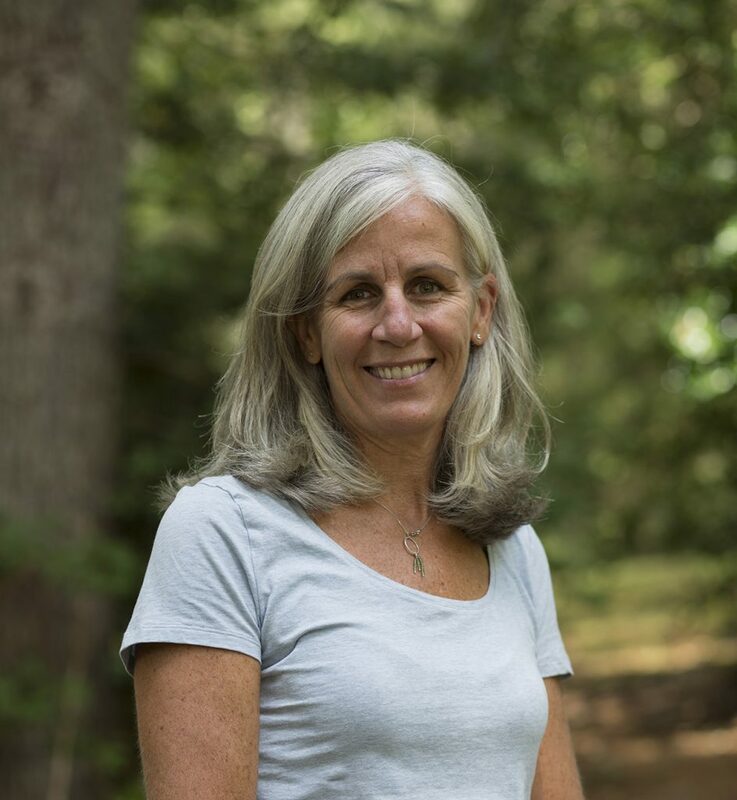 Before joining Camp Pinnacle, Emory spent five summers working at Camp Highlander in Mills River, NC, as a kayak instructor and later on as head of wilderness programs. 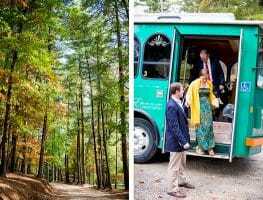 He earned a bachelor’s degree from Appalachian State in recreation management with a concentration in outdoor education. 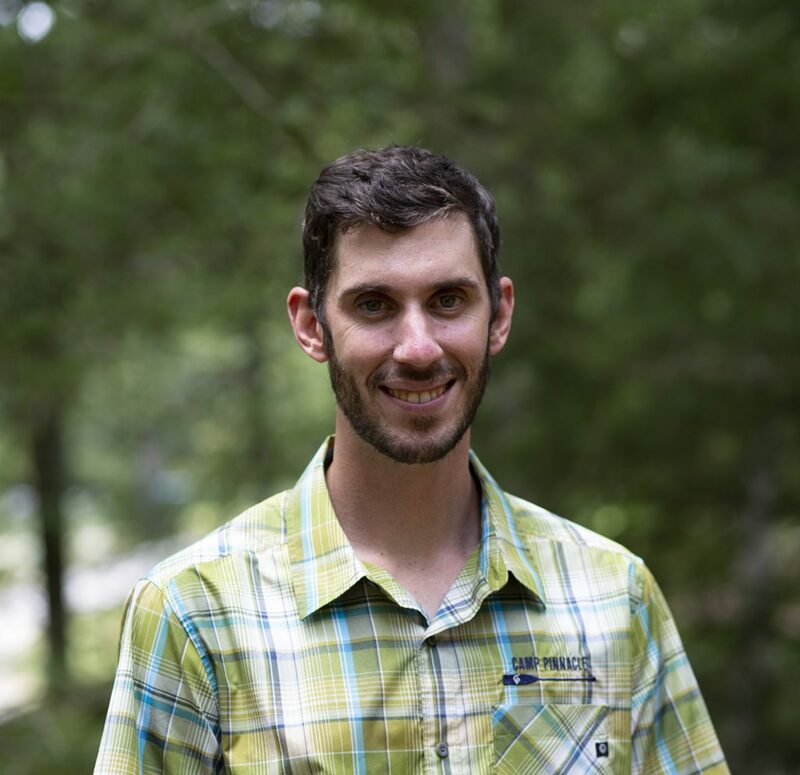 The high country surrounding App State helped him grow a passion for the outdoors; Emory whitewater kayaks year-round across the Southeast (he recently competed in the nationally known Green River Race), plays guitar, bass, and drums, and is a coffee connoisseur. Walker is originally from Clemson, SC, but grew up in Savannah, GA. 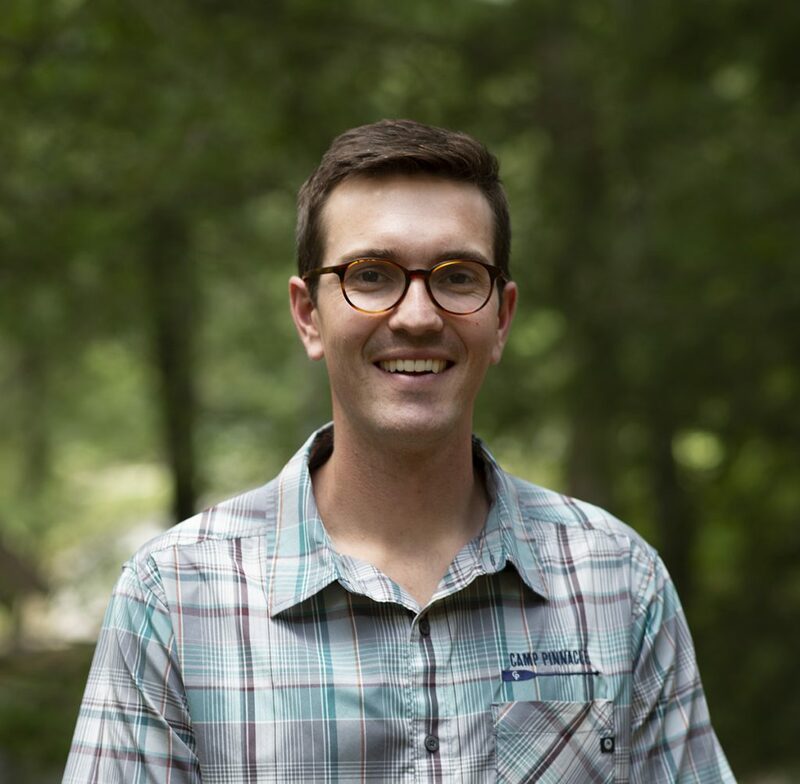 He studied outdoor education and psychology at Georgia College in Milledgeville, GA, and has worked for many outdoor youth programs since graduating, including being an instructor for Adventure Treks and camp counselor at our neighboring camp, Falling Creek. 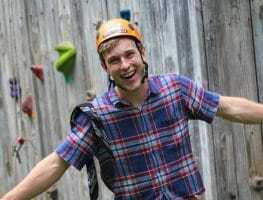 Most recently, Walker lived in Austin, TX, where he worked as the program coordinator for Explore Austin, a non-profit organization that focuses on youth mentoring and outdoor adventure. When Walker isn’t at camp, you can find him on a trail run with his dogs, throwing frisbees on the disc golf course, or casting a fly rod on our local rivers. 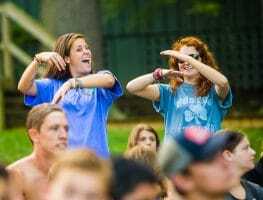 Cara joined the Camp Pinnacle team full-time after spending four amazing summers as a counselor and then intern. She grew up in Brighton, MI, and earned a bachelor’s degree in recreation and event management from Central Michigan University. After college, Cara spent time working for Big Brothers Big Sisters in Helena, MT, but always knew she wanted to come back home to Pinnacle. 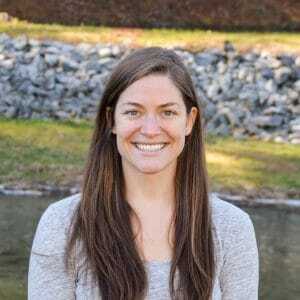 Cara is a mountain biker and runner who also loves spending her free time combing western North Carolina for the perfect doughnut. Tom is a master craftsman and carpenter and oversees the Camp Pinnacle facilities; he has led our massive camp-wide renovation. 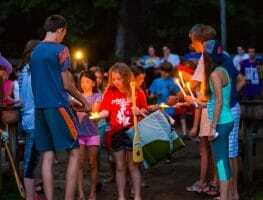 From treehouses to cabin decks to the Lognasium, much of the magic of Camp Pinnacle’s facilities is a result of Tom’s understanding of how our children’s experiences can be affected through the camp’s beautiful grounds. 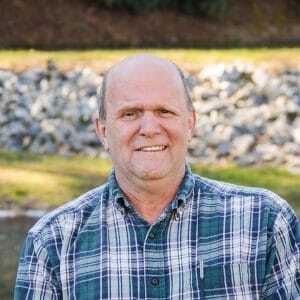 Tom is a native of Western North Carolina and has an associate’s degree in forestry. 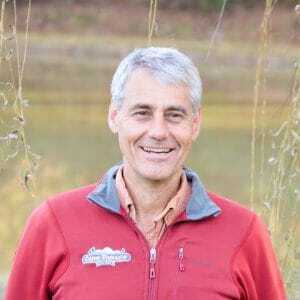 He’s worked with the United States Forest Service and as the head of the Environmental and Conservation Organization in Henderson County. 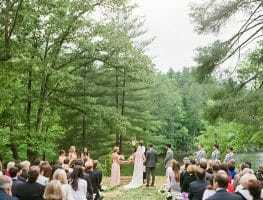 Michelle fell in love with the mountains spending her childhood summers in North Carolina. Originally from Michigan, she earned a bachelor’s degree in education from Central Michigan University. 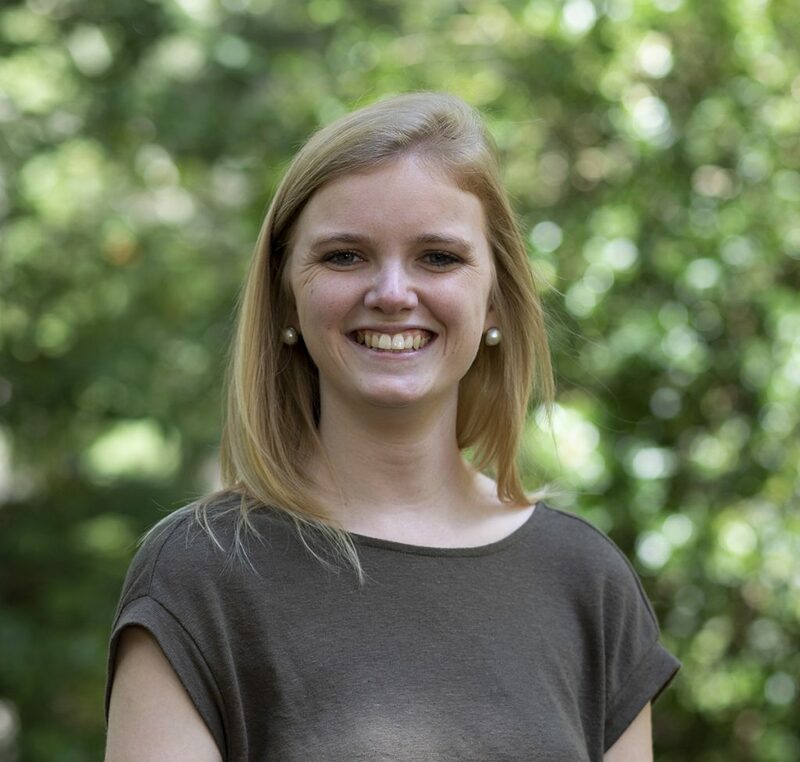 With her passion for continuing education, Michelle is currently pursuing her master’s degree in mathematics education through East Carolina University, and she just received her TEFL certification while studying and teaching in Thailand. In her free time, Michelle enjoys planning her next travel adventure, practicing yoga, and cooking for her friends and family. Chef Richard is a central figure at camp and is passionate about making mealtimes an integral part of the camp experience. More than a chef, Richard teaches cooking and baking classes and knows the campers by name. He was formerly head chef at the Trillium Links and Lakes Club in Cashiers, NC. He is a nationally certified ice carving judge, and his cuisine was recently featured in Martha Stewart Weddings. He also serves as a pastor to a congregation in Marion, NC.